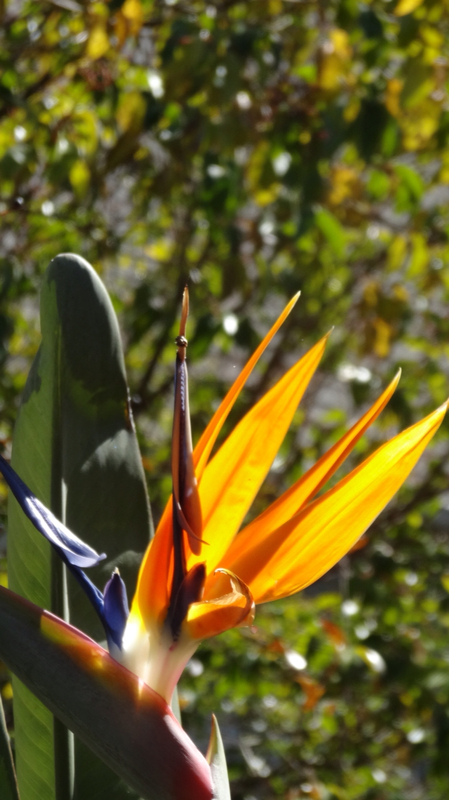 It's officially the first day of spring. While this is the time of year that brings hope and renewal, at the same it time can potentially take us further away from goals we set for ourselves way back in...was it only January? This is particularly true if we never even wrote down our resolutions to begin with, or if we neglected to keep them scotchtaped to our bathroom mirrors, or prominently tacked to our bulletin boards. *Review and assess any goals or resolutions you might have set out for yourself in January. Make sure they are realistic now that we are 3 months into the year. Most people can't complete a novel in under a year, but you could finalize your outline, if you work with one, and try for getting half the writing done, or a chapter a month if that's easier. -does my writing project still interest me, or has a new topic presented itself since January that might be more viable? -do I have an audience or potential audience for my topic? For most of us, it's easier to launch a project when we feel our own excitement building. -do I have the resources I need to finish my project or meet the milestone dates I've set up from this point forward. If the answer is no, adjust your timeline so it is realistic. *hard copy books, which can you publish through traditional routes by getting an agent and trying for a bok contract, or self-publishing through platforms such as Amazon's Create Space. *Troubleshoot what the problem is. Many writers, whether they are just starting out or not, experience similar types of challenges, such as procrastination, lack of confidence, etc. It may sound corny, and you may have heard it before, but one of the best solutions to procrastination is setting aside even 10-15 minutes a day where you can write uninterrupted. If you encounter too many distractions during the day, try early in the morning (I am writing this at 5 am), or at night when it's quiet. Most of us find that once we get started, the time passes quickly and we become absorbed in what we are writing. *Choose the tools that work best for you. While you might never dream of writing on other then a laptop or computer, some writers insist that writing longhand on plain old legal pads works best. The New York Times several months ago, profiled Jerry Seinfeld's creative process when he's preparing a comedy routine, and lo and behold...the yellow legal pad! I know that I tend to write out lists and ideas on a pad, and then I'm fine switching to my iPad when I'm ready to write. 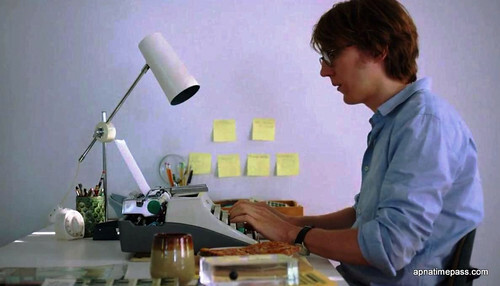 In "Ruby Sparks," Paul Dano plays a writer whose muse comes alive, and changes personalities according to what he types. *Find your muse and inspirations, and imbibe the sensory details. Everyone experiences something or someone inspirational, whether it's connecting with nature, running into someone from your past, travelling, or going through a transformational or life-changing event. I just saw the charming film "Ruby Sparks," where the writer is fueled by a character he created, who then comes to life! Make the most of your inspirations, and become the roving reporter of your own life. I often feel that travel and particularly airports and flying, are great inspirations. How often do you find yourself creating little stories about the passenger next to you, or the marvels of modern air travel? *Minimize your editor and sharing, at the early stages. Unless you are crowdsourcing through social media, or workshopping your material, it's best not share until you are ready. Similarly, it's important to keep your inner editor on hold for a while so you can write freely for your first draft. The great writer and speaker Natalie Goldberg, whose famous work "Writing Down the Bones," (Amazon affil) is a must-have handbook, pioneered the timed free writing method of keeping your pen on the paper for a specific length of time without stopping. She also popularized the concept of monkey mind, the Buddhist term for a distracted, or occupied mind. These are just a few tips to help you get back on track with your writing projects. I've also listed some additional resources below. Please share in the comments what your greatest writing challenges are, and what tips and solutions have proved the most useful for you?